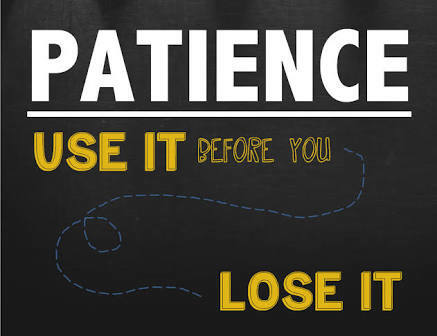 Patience is defined as the ability to handle the passing of time. In Network marketing, you need to cultivate this ability in order to be successful. Why? Because it takes time to make money in network marketing as it is in many other businesses. But for some strange reason, when people start network marketing they want to start making money today. This is not possible. If you want to make money today, today then you have to go and do “by day “. Unfortunately, by day can’t give you financial freedom. So if you want to harvest cocoa, you need to clear the land, plant, weed and or spray the farm for 3 years. In the first year, you get nothing except the hope of harvesting the cocoa in 3 years. The second year too you get nothing. Even in the 3rd year, you harvest but small. But from the 4th year as the cocoa trees grow bigger with many branches, your harvest increases and you make more money. 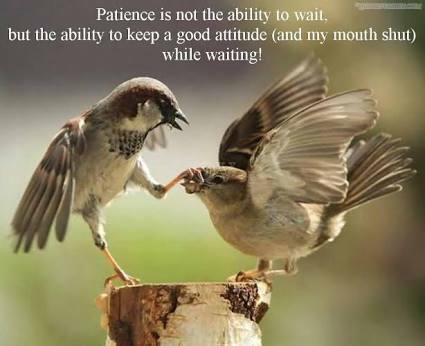 You need the same level of patience to build your network marketing business. In the process of building and patiently waiting, many people will make fun of you. They will look down upon you. They will laugh at you and describe you as someone who has no vision. When this happens to you, thank God and move on. You are just about to make it. Unfortunately, this is the time networkers painfully quit. Or jump to another company and start afresh. You don’t need to do that. All you need to do is to know that you are a “cocoa farmer ” and it takes a while to start harvesting cocoa. And when you start harvesting you will realize that all the hard work, sacrifices and patience is worth it. P.S. : This post is not my original work – the author is unknown. I first saw it in circulation on one of our online business platforms. I loved it so much and decided to share. It gives me a lot of inspiration and I hope it does the same to you too. Next article What is Your Aim in Network Marketing?